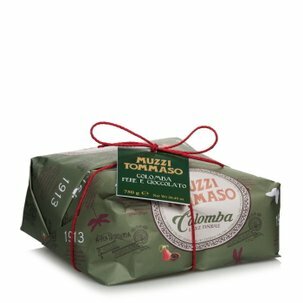 The Muzzi colombina with peach: a delightful cake with a subtle taste, presented in a smaller size to enjoy wherever you want. 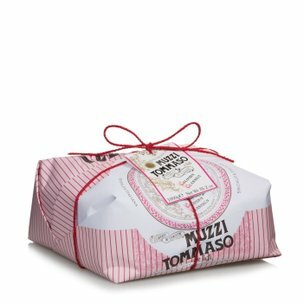 This soft, velvety cake, made with top quality yeast, contains delicious pieces of candied peach and is topped with a delicate icing. 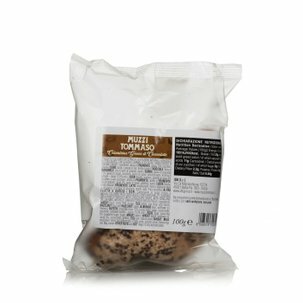 The product is carefully packaged by hand, showing the genuine artisan nature of the Muzzi bakery. The peach colombina has a smooth, sweet taste, which combines perfectly with a good quality sparkling wine. 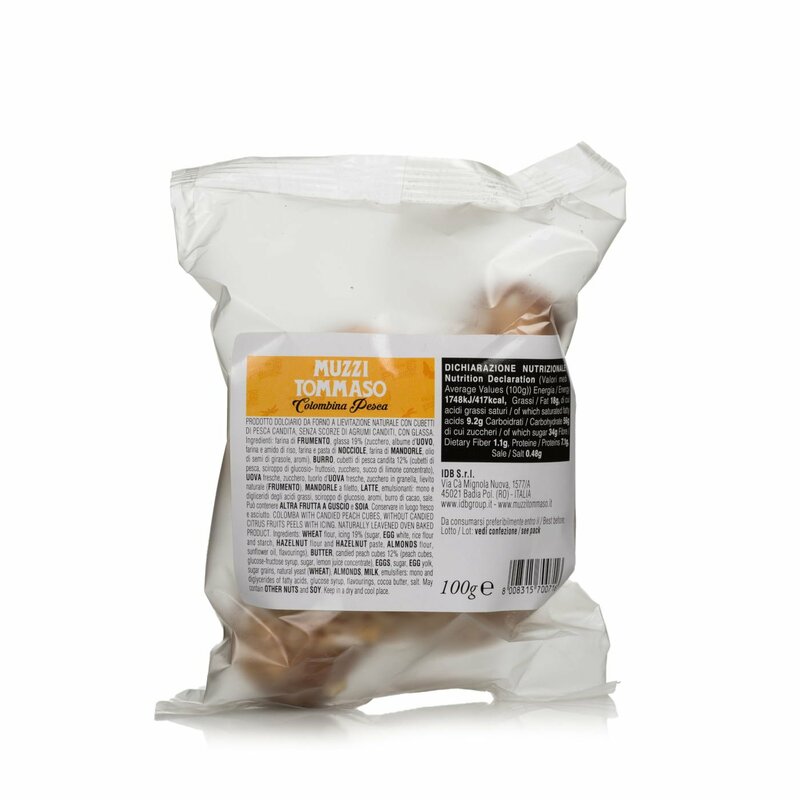 Alternatively, you can enjoy it with a cup of coffee, which makes an excellent contrast to its soft, crumbly texture. 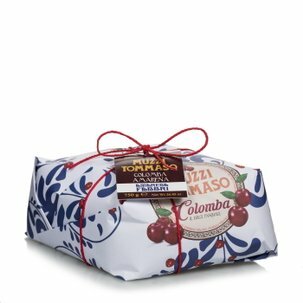 Ingredients COLOMBA WITH CANDIED PEACH CUBES, WITHOUT CANDIED CITRUS FRUITS PEELS WITH ICING. NATURALLY LEAVENED OVEN BAKED PRODUCT. Ingredients: WHEAT flour, icing 19% (sugar, EGG white, rice flour and starch, HAZELNUT flour and HAZELNUT paste, ALMONDS flour, sunflower oil, flavourings), BUTTER, candied peach cubes 12% (peach cubes, glucose-fructose syrup, sugar, lemon juice concentrate), EGGS, sugar, EGG yolk, sugar grains, natural yeast (WHEAT), ALMONDS, MILK, emulsifiers: mono and diglycerides of fatty acids, glucose syrup, flavourings, cocoa butter, salt. May contain OTHER NUTS and SOY. For more information on product labels, please contact our Customer Service department. The information on the labels of the products may vary for reasons beyond our control, therefore, there may be discrepancies between the information on the site and that on the products delivered. Please always check the information on the product before consumption or use.